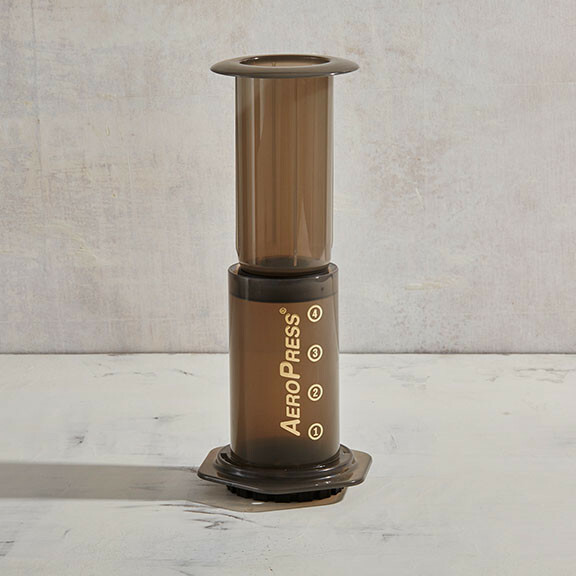 Because it was conceived just 38.5 miles from our Oakland roastery by Aerobie (those wonderful folks who created an improbably long-flying disc), we'd like to humbly assert that the AeroPress is our first locally-produced piece of merchandise. It’s a peculiar and lovely device – easily the most durable and portable option for brewing quality coffee. It produces a cup that’s thick and focused, but still quite nuanced. Comes with a set of 350 filters (and filter-holder), coffee grounds funnel, coffee scoop and stirring paddle.